From the police and CBI to the courts and correctional facilities, reform is required at every stage of the system. 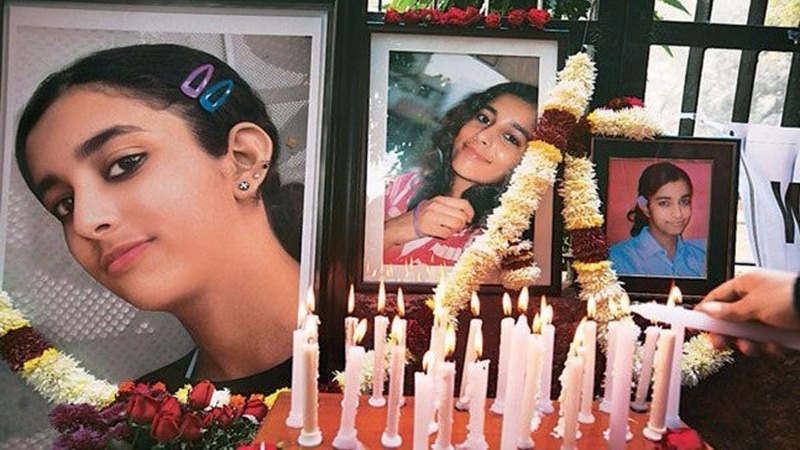 India’s criminal justice system – comprising law enforcement (the police), adjudication (courts and the justice delivery system) and corrections (prison) – has never been so thoroughly exposed for its inherent weaknesses as in the 2008 murder case of teenager Aarushi Talwar and domestic worker Hemraj. It witnessed not only a botched investigation by the Noida police that made the case unsolvable due to the mishandling of the available forensic evidence, but also an unpardonable flip-flop by the CBI, which first gave a clean chit to parents Drs Rajesh and Nupur Talwar, then pronounced them guilty of the twin murder. Wild charges, ranging from debauchery to brutal murder of their own child were made against them; even the deceased was not spared. No wonder the CBI invited criticism from the Allahabad high court for tutoring witnesses and tampering with evidence. The learned trial Judge has prejudged things in his own fashion, drawn conclusions by embarking on erroneous analogy conjecturing to the brim on apparent facts telling a different story propelled by vitriolic reasoning…. The learned trial Judge took evidence and the circumstances of the case for granted and tried to solve it like a mathematical puzzle. If the two-stage policing (UP police and CBI) was the first stage of calumny, the CBI designated court was the second stage. Nine years later, and after their acquittal by the high court four years after the conviction, the case still appears to be alive. Hemraj’s family wants to move the apex court demanding justice for him and fix the responsibility of the CBI. On the other hand, India’s premium investigating agency, tasked primarily with anti-corruption enquiries, but assigned an extended role due to the existing and continued degeneration in the police organisations across the country, is mulling moving the apex court against the high court verdict. 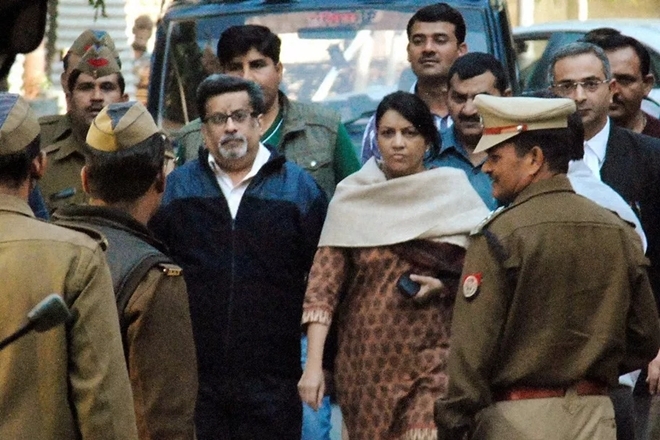 It is not yet clear if the Talwars would consider any further action to seek justice for their deceased daughter. In my last article in The Wire, I commented in detail about police reforms. Without repeating myself, using the preposterous claims and comments made by the then IG Meerut zone Gurdarshan Singh, who had accused Rajesh of murdering his daughter and Hemraj after he found them in an ‘objectionable’ position, I will point to diminishing investigating skills of the police. The reasons are both internal to the organisation and rooted in the apathy, or is it antipathy, of the governments – Union and states – as well as political parties. While police training deserves to be put under the lens, the paucity of sufficient cops puts the organisation and its personnel under pressure and stress and leaves virtually no time for the organisation to send them for periodical refreshers for updating their skills and knowledge. Political misuse and consequent politicisation of the police by most political parties which have been in power has also caused low morale of the personnel and institutional degeneration. Though the CBI has solved many complex and high-profile cases, this is not the first time it has got a bad name. A CBI director during the UPA regime admitted to the Supreme Court that the premier investigating agency was a ‘caged parrot’ of the government of the day. Even though anti-corruption investigation is its main mandate, it has been entrusted with the investigation of serious criminal cases. In fact, increasingly, with the failings of various state police organisations to carry out a non-partisan and efficacious investigation, criminal cases where political partisanship is alleged, or where the police fail to nail offenders, the demand for a CBI inquiry is made. Needless to say, not only has the CBI come under a cloud for being a partisan organisation, irrespective of the regime in New Delhi, the case under reference has thoroughly exposed its efficacy, whatever the reasons that caused its flip-flop. Worse still, those who brought such a blot on the grieving family and pushed them into incarceration for four years will go scot free. And no one would even consider bringing reforms in the CBI. The recent tussle between the Union Ministry of Home Affairs (MHA) and the West Bengal government over the withdrawal of central forces even as the Gorkhaland movement turned violent is a classic example of partisanship entering policing. While it exposed the inadequacy, and perhaps inefficiency, of the West Bengal police, the MHA decided to withdraw the Central Reserve Police Force (CRPF) and issued a note to the states that the central forces were meant only for emergencies, indicating that it did not treat the Darjeeling situation as an emergency. Interestingly, the state that protested the deployment of the CRPF in 1968 in Durgapur during a strike by the Left unions is now protesting the withdrawal of the same force. The judicial system, particularly the lower courts, are under severe stress. There are close to 30 million pending cases in lower courts across states in the country. The Supreme Court (over 60,000) and 24 high courts have over four million pending cases. The high courts have a shortage of over 400 judges. While the higher judiciary has generally not been accused of a political slant, particularly after supersession stopped following the Three Judges Cases, fingers have frequently been raised in the lower courts across the country. India’s prison system, defined lately as correctional homes, is also crying for reforms, despite some measures having been taken. Prison reforms have been discussed, and as is Indian practice, several committees have been formed since the 1980s. The most recent was the Draft National Policy on Prison Reforms and Correctional Administration, prepared in 2007 by the Bureau of Police Research and Development. In 2008, a 40-billion package for prison reforms was sanctioned. As always happens, allocation of funds, necessary though it is, without any road map and concrete plan for reforms, leads only to squandering of money. The recommendations of the Committee on Reforms of the Criminal Justice System (CJS) constituted by the MHA on November 24, 2000, deserve a discussion here. The committee, as mandated, suggested measures for revamping the CJS in its report submitted in 2003. It premised the CJS reforms on the fundamental rights of citizens to a better system of justice, stating that seeking truth is a fundamental duty of the courts. Among the most fundamental reforms suggested by the committee was an infusion of features of the continental inquisitorial system in the adversarial system inherited from the British tradition by India. The former, the report insisted, is better equipped to seek truth as investigation is supervised by a judicial magistrate, resulting in higher conviction. However, it did recommend retaining the adversarial system as it ensures a fair trial, and in particular, fairness to an accused. Thus, adoption of some of the good features of the inquisitorial system such as the duty of the court to search for truth, to assign a proactive role to the judges, to give directions to the investigating officers and prosecution agencies in the matter of investigation and leading evidence with the object of seeking the truth and focusing on justice to victims would strengthen India’s adversarial system, making it effective. Further, the committee suggested reforms in the Criminal Procedure Code and Indian Penal Code to ensure the right to silence of citizens ensured by Article 20 of the constitution, ensuring the rights of the accused, presumption of innocence and burden of proof. On the presumption of innocence and burden of proof, which are not only significant for the judicature but also investigation and prosecution, where the role of police is involved, the committee recommended a middle path, where ‘proof beyond reasonable doubt’ should be done away with. Since the CJS is aimed at ensuring justice to victims who have not been given any substantial right, not even to participate in the criminal proceedings, the committee stressed that the system must focus on justice for victims and made several recommendations which included the right of the victim to participate in cases involving serious crimes and to adequate compensation. It expressed its “considered view … that criminal justice administration will assume a new direction towards better and quicker justice once the rights of victims are recognized by law and restitution for loss of life, limb and property are provided for in the system”. Even though the committee recommended separation of the investigation wing from the law and order wing, which has been recommended by practically all the police commissions, the Malimath Committee endorsed the National Police Commission suggestion for institutionalising the police system. In order to improve quality of investigation, it suggested measures within the existing organisational framework to improve policing; there the committee did not do any out of the box thinking, as its mandate did not include the organisational aspect of the police. Thus we already have recommendations from a score of commissions and committees since the 1960s for police reforms, including those that looked at the Dharma Vira Commission to recommend actionable points for the government. The Malimath Committee makes the process complete, as it puts the police and policing in the broader framework of the CJS, showing how the anomalies of the police organisation and policing negatively impact the other two institutional processes and vice versa. In fact, the Aarushi Talwar case is the perfect example of the prevailing aberrations causing distortions in the system at each stage. Fixing it without any delay is imperative.